Paper featuring my work in Centre for British Art journal. Click on image for “Corridor8” review. Great Company in this amazing show. Flattering allusion to my work in Alexandra Harris's Guardian review with link to this site. Below is a still from the forthcoming documentary "Die Grosen Kunstlerduell Turner Vs Constable" My work and opinions contribute to this investigation into the two artists relationship and legacy. Broadcast early December2017. New Show featuring David Nash, Laura Ford, Graham Sutherland and Julian Perry. Major one person show opens at Gainsborough's House Sudbury Suffolk Uk. Show runs from Friday 24th of Feburuary - Sunday 11th of June. Julian Perry invited to be part of international multi media Arts project: Trees of the Planet. May 2016 Julian Perry on French Residency. 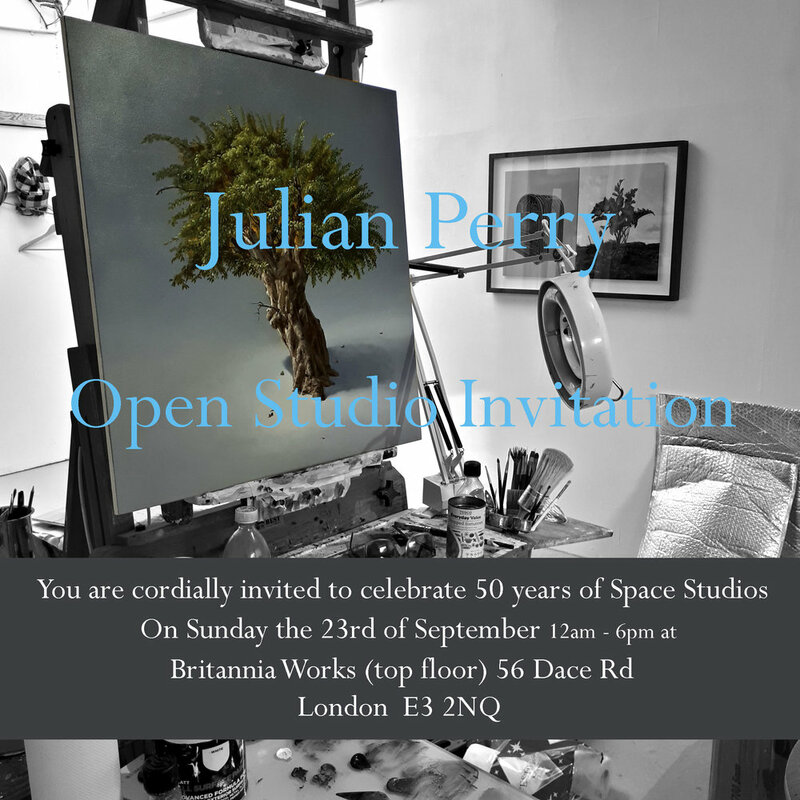 Julian Perry to have one person show at Gainsborough's House Gallery, Feb 2017.
studio Rental paid for 6 months. Artists: Biggs & Collins I Kayle Brandon I Glenn Brown I Gillian Carnegie I Graham Crowley I Bella Easton I Stephen Felmingham I Ryan Gander I Chris Hawtin I Julian Perry I Rebecca and Mike I John Stark I Michael Stubbs I Trisant I Daphne Warburg Astor I Richard Wathen. Small Works "When Yellow Leaves"
Museums at Night 30th October 2015 at Mascalls. Gallery. An evening of poetry and music inspired by my Mascalls Gallery exhibition. Julian Perry (left) and John Durrant, Venice. feature on the "Benacre Birch" works on show in Venice. Issue May 13th, 2015 page 117. February 2015: Julian Perry is invited to exhibit in the Venice Biennale. The exhibition titled "Vital Life" is curated by London based "Artwise". Approximately thirty international artists have been invited to contribute works that engage with the biggest envirionmental issues the world faces. 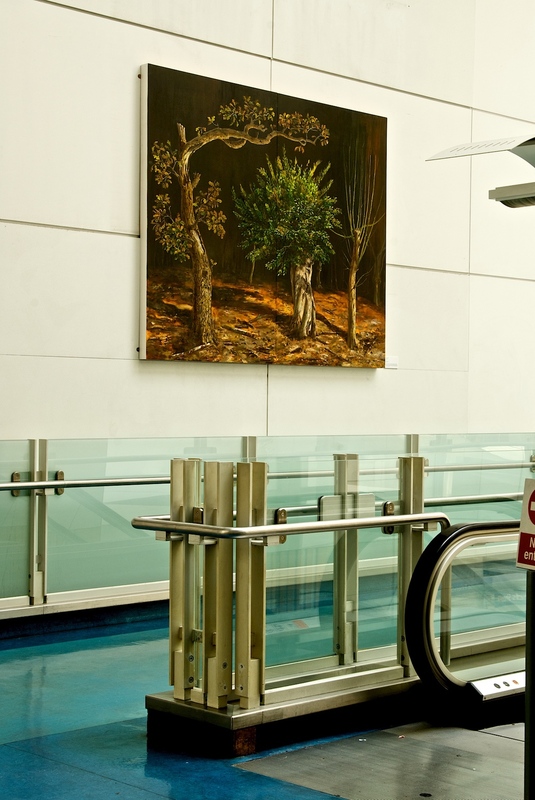 The show will be staged at the Pallazzo Garzoni (below) from 9th of May to November 22nd 2015 Julian Perry will be exhibiting an installation devoted to three huge paintings of Suffolk Trees lost to coastal erosion. 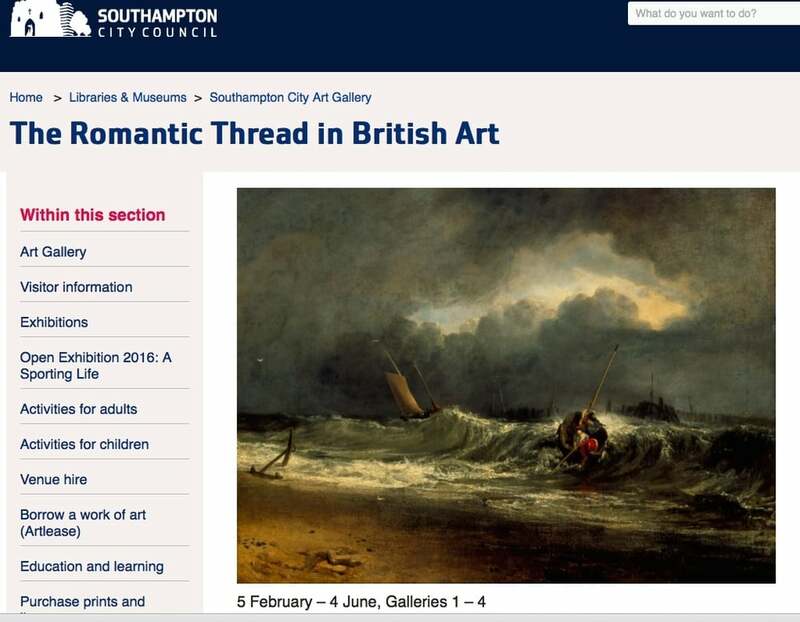 Click for more info and images of works. January 2015. Mascalls Gallery publish year program with J.P painting on cover. RWA Bristol 19th December - 8th of March 2015. 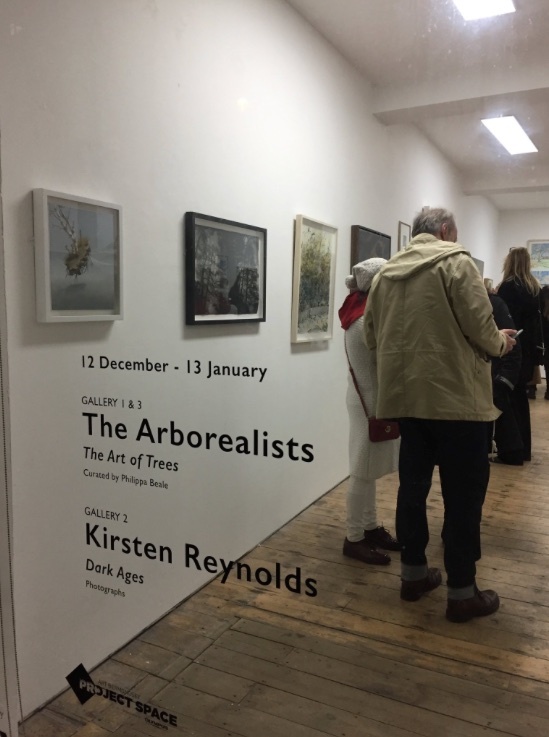 A large group show touring the Uk featuring The "Arborealists". Installation shot showing Julian Perry's "Three Pollards" . An art exhibition curated by Artwise to celebrate 50 years of the I.U.C.N Red list of endangered species. Click here for exhibition interview. September 2014 Julian Perry agrees one year sponsorship deal with the artists suppliers Winsor and Newton.